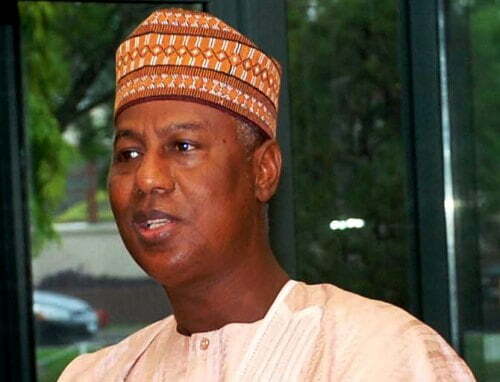 Dakingari will be arraigned along with Sunday Dogonyaro and Garba Rabiu Kamba for allegedly conniving to collect the sum of N450 million (Four Hundred and Fifty Million Naira) only part of the $115 million (One Hundred and Fifteen Million Dollars) allegedly â€œsharedâ€ by the a former Minister of Petroleum Resources, Deizani Alison-Madueke for the purpose of influencing the 2015 general election. Dakingari and his co-defendantâ€™s arraignment suffered series of adjournment due to their persistent absence. On the last adjourned date, Justice Simone Amobeda gave the absentee defendants the last chance to appear before the court and take their pleas otherwise, he would â€œgrant the prosecutionâ€™s prayers and invoke section 394 of the Administration of Criminal Justice Act, 2015 for the court to issue a bench warrant for their arrestâ€. One of the charges reads: â€œUsman Saidu Dakingari on or about the 27th March 2015 at Kebbi within the jurisdiction of the Federal High Court made a cash payment of the sum of N49,640,000 (Forty Nine Million, Six Hundred and Forty Thousand Naira Only) to Alhaji Haruna Haruna without transacting through a financial institution and thereby committed an offence contrary to section 18 (a) of the Money Laundering Prohibition Act, 2011 (as amended) and punishable under section 16 (2)(b) of the same Actâ€.